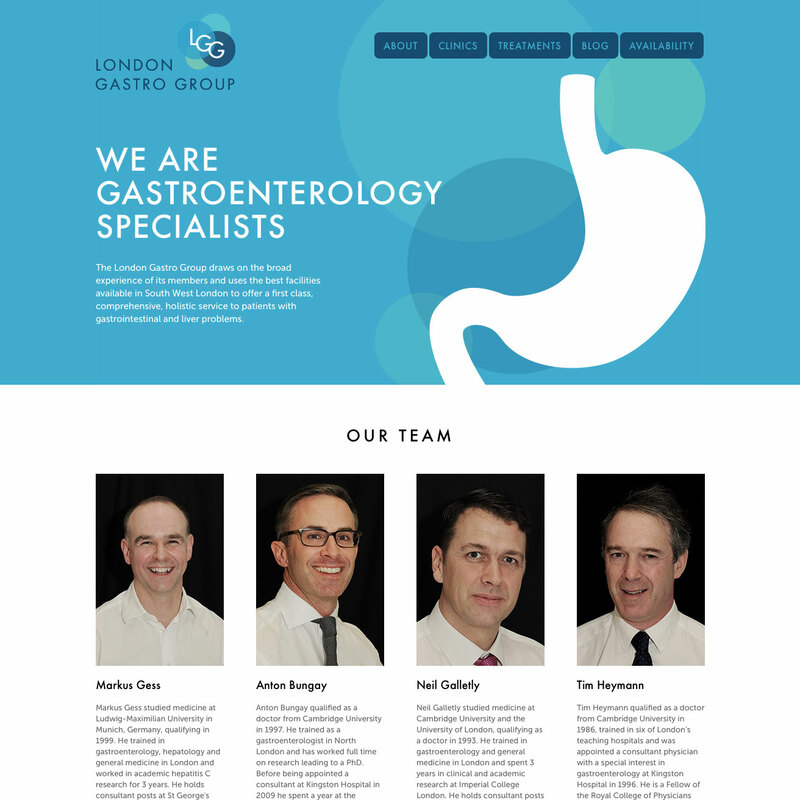 Another of our private medical clients, we're very proud of the clever under-the-hood way that London Gastro Group's website works. In the old days, mobile websites were completely separate entities from desktop pages - and this easily lead to one version of the site being kept up to date, and another becoming out of date. In order to avoid misinformation, we developed a system where information was shared between the clinics, diary and doctor's pages - in one central place. It has great advantages because it reduces the chance of human error occuring on the site.